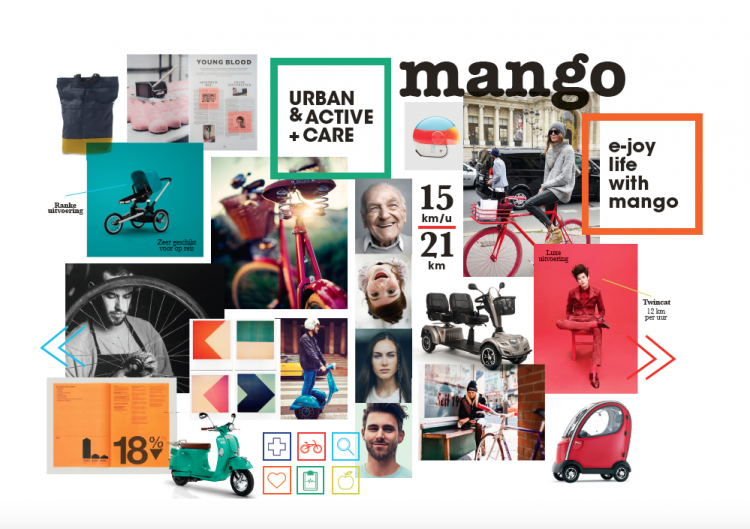 Mango Mobility specializes in electric transportation, especially micro mobility. They wanted a new look for their product catalogue, searching for a magazine look and feel that is suitable for young and old. 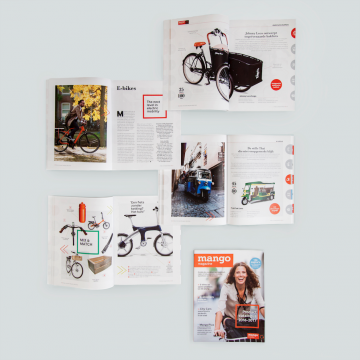 Balthazar Strategy felt that the catalogue, next to the product information, also needed editorial pages. In this new editorial approach we could create a fresh vibe. To achieve this, we focused on the urban & active branch of the company, which is also the more sporty part. Linked to that feeling we used colored squares, geometrical shapes, arrows and bright colours throughout the design. To keep in touch with the whole demographic, we used images of people all ages, from 16 till 96, in the design.